Teekay, one of the world’s largest marine energy transportation, storage & production companies will continue to experience significant operational benefits from Marlink’s Sealink VSAT solution across its entire shuttle tanker fleet, following a recent contract extension and upgrade. With over 30 years’ experience, Teekay is the world’s largest owner and operator of shuttle tankers. The company’s success comes from highly trained crews and advanced onboard technology, including dynamic positioning (DP) and offshore loading (OL) systems, which ensure safe and reliable offloading of oil from offshore installations in both deep water and harsh weather environments. Teekay is equally committed to leveraging the power of maritime broadband networks to ensure operational safety and efficiency. 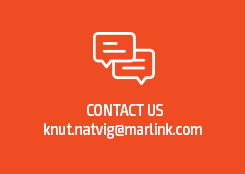 Hence the company has chosen Marlink’s reliable, high bandwidth global Sealink VSAT solution for its entire shuttle tanker fleet since 2011. The latest contract extension and upgrade secures Teekay’s ability to benefit from remote operations and support crew welfare, and includes a significant bandwidth increase to support even more connected applications on board. The increased Sealink VSAT capacity is already live across the Teekay shuttle tanker fleet. In addition, Teekay has chosen the Marlink solution for three new builds. Teekay will be provided with ample bandwidth for crews to stay in touch with friends and family ashore and a faster, more flexible platform for day-to-day vessel and business operations. Teekay shuttle tankers will continue to benefit from the already installed on board equipment, including antennas, modems and routers.